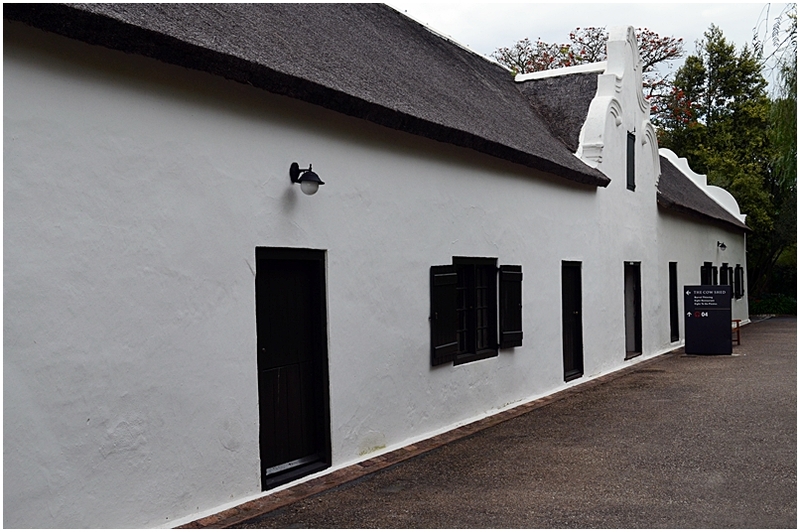 Cape Dutch architecture at Spier wine estate. 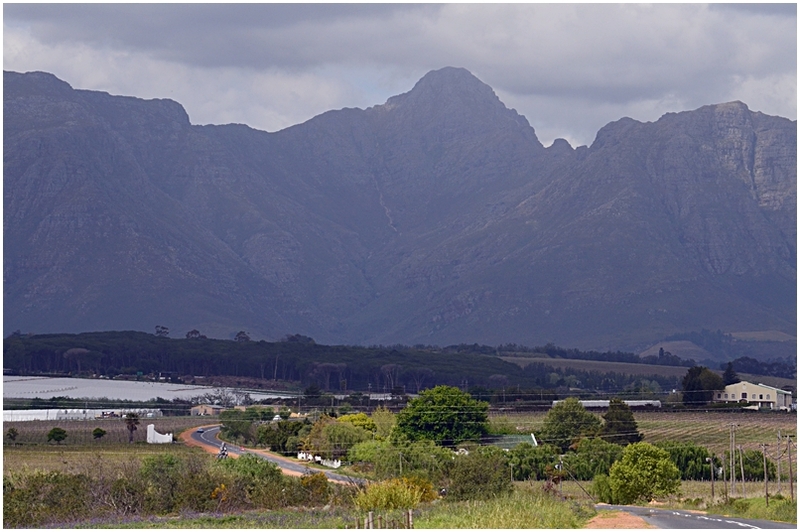 The Stellenbosch mountains, backdrop to the vineyards of this beautiful area. 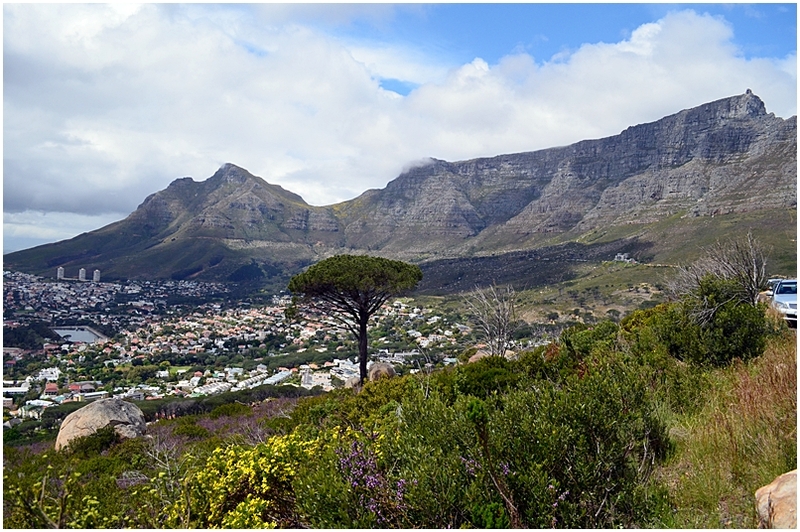 Table Mountain, as seen from the road to Signal Hill. 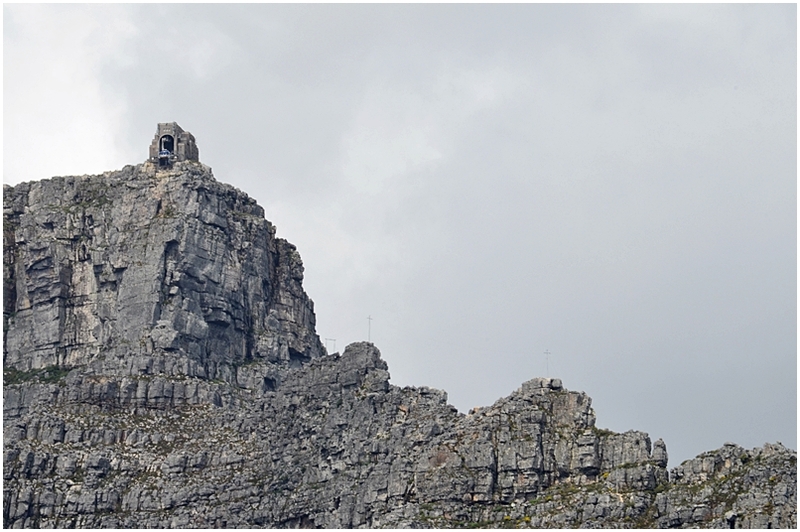 The upper cable station of the Table Mountain cable way. 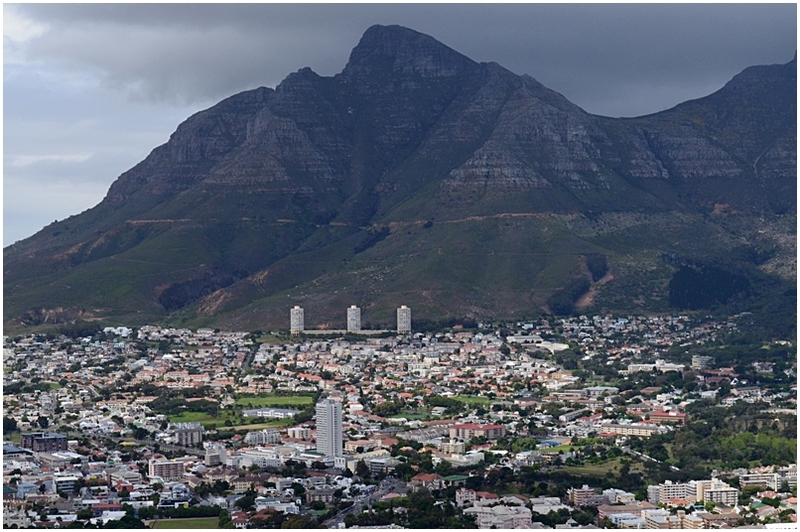 Devil’s Peak and the upper suburbs of Cape Town. 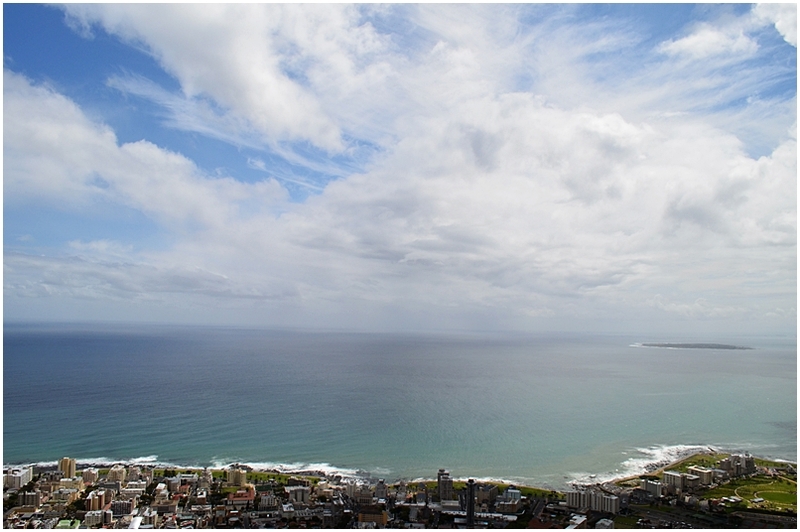 Table Bay, with a glimpse of Sea Point in the foreground, as seen from Signal Hill. 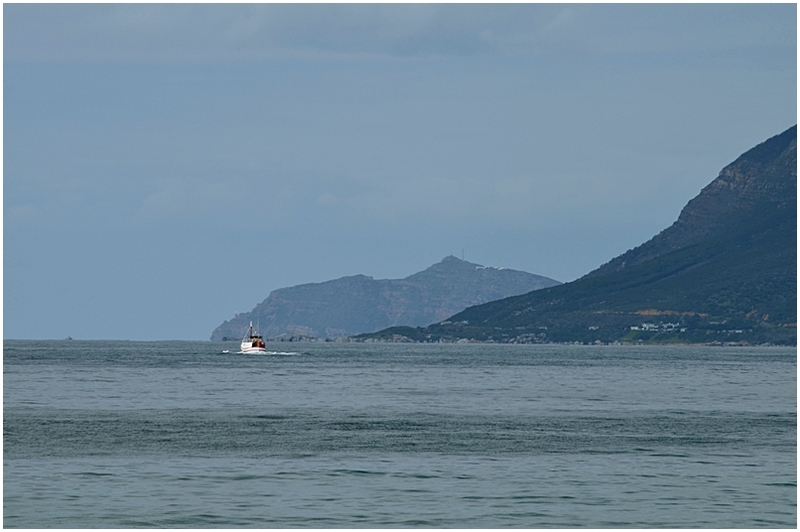 Robben Island is on the right. 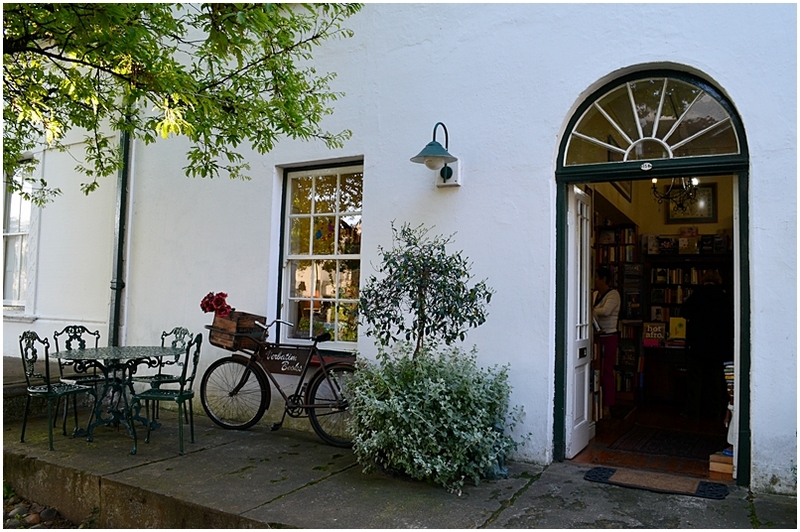 The facade of the Huguenot Museum, Franschhoek. 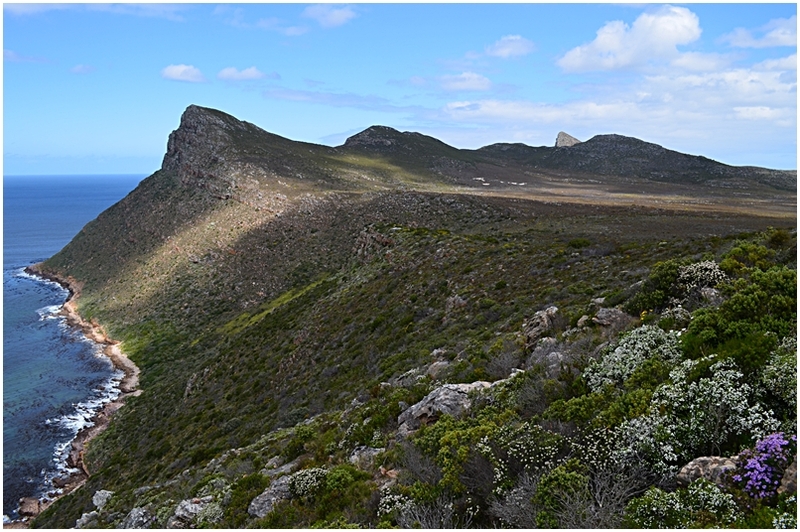 Looking south towards Cape Point. Still looking south as we head down to the Point. 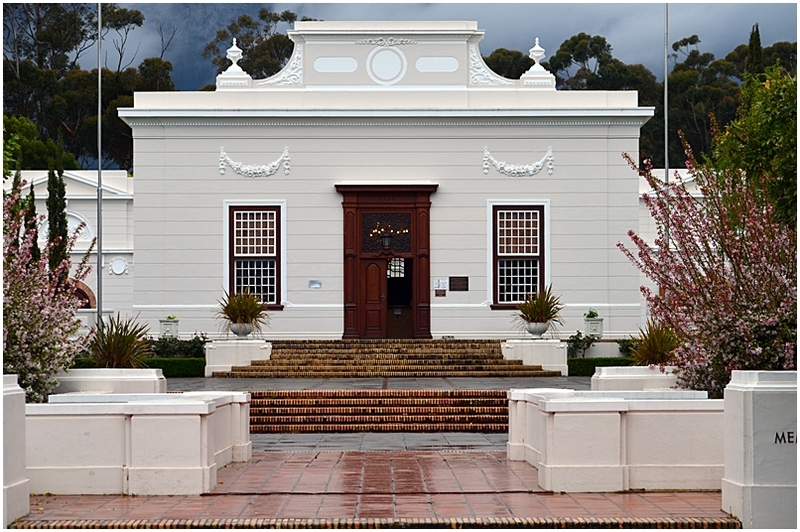 The actual point, the south-westernmost tip of Africa, first rounded by Bartholomeu Dias in 1488. 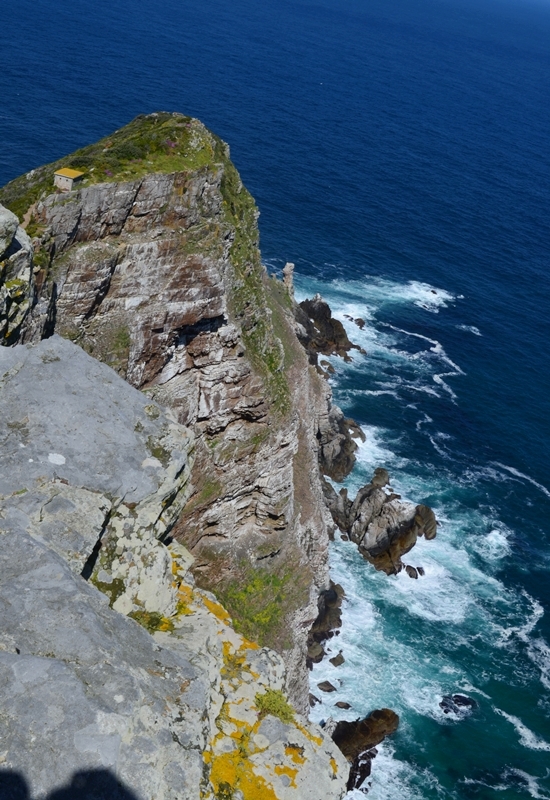 A close look will reveal the old lighthouse an the dark cliff right at the end of the point.